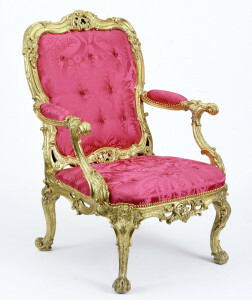 Rococò Style was developed in France and spreaded throughout Europe during the 18th Century. It took its name from the French rocaille (pronounced ‘rock-eye’), which means the rock or broken shell motifs that often formed part of the design. 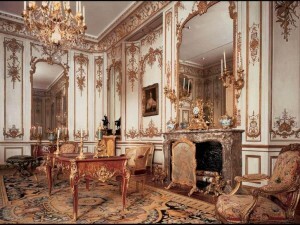 Rococo architecture was a lighter, more graceful, yet also more elaborate version of Baroque. Rococo emphasized the asymmetry of forms. Rococo was more secular and light-hearted. Rococo architecture brought significant changes to the building of edifices, placing an emphasis on privacy. French palaces. The layout was shaped like a horseshoe, with a central part corps de logis and two side wings. The building was set back from the street by a cour d’honneur, a symmetrical courtyard set apart in this way, at which the honored visitors arrived. 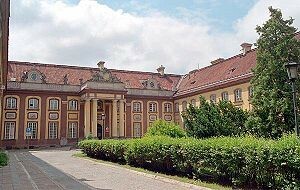 The façades were balanced with admirable rococo decoration and rooftop windows. The main entrance was decorated with a portico of four columns with sculptures on the top. 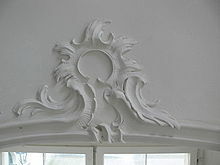 Natural motif are a feature of both British and French Rococo. However, in British Rococo designs the natural motifs are often more realistic in their details than those on French Rococo designs. Elaborate carved forms Rococo was a style developed by craftspeople and designers rather than architects. 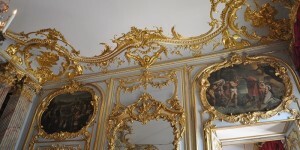 This helps to explain the importance of hand-worked decoration in Rococo design. S and C scrolls Curved forms are common in Rococo. They often resemble the letters S and C.